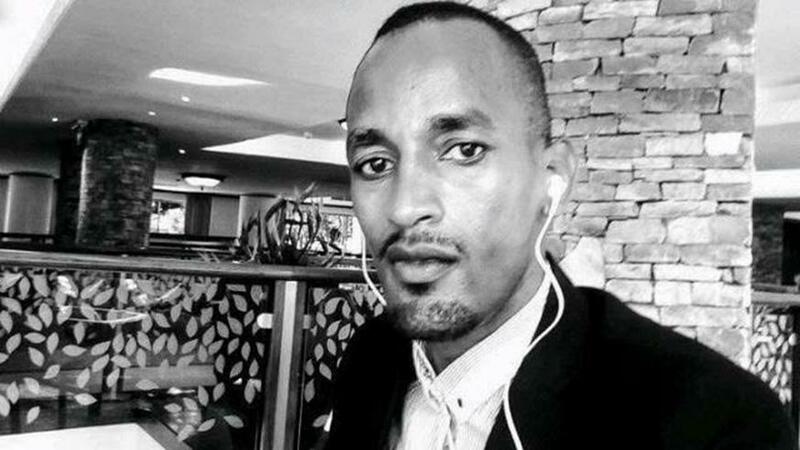 KIGALI/ KAMPALA – Moses Ishimwe Rutare, 33, a Rwandan national who lives and works in Kampala, Uganda, was picked up from Bugolobi by operatives attached to Uganda’s Chieftaincy of Military Intelligence, family members and friends told the New Times a local daily in Rwanda. Ishimwe, a businessman who runs an events management company, went missing on December 22, at around 12 pm, according to the family. His friends claim Ishimwe was picked from a church function organised by Prophet Elvis Mbonye of Zoe Ministries at Plot 4 Luthuli drive, Bugolobi. Eunice Esule, a friend to Ishimwe, alleges that they have since established that the physical address of the Prophet Mbonye’s office where Ishimwe was picked from is next to the residence of the CMI boss. In a conversation with The New Times, Fred Irumva Rutare, the elder brother of Ishimwe, said he called on Ugandan authorities to produce Ishimwe before the court if he has any charges to answer. “Ishimwe is a civilian, does not work for any public office. We don’t know why he is being held. Everyone at home is anxious. We just want to know if he is safe and let him be charged in court if he has to answer any charges,” Irumva said. Irumva said his brother last travelled to Rwanda about two months ago. Ishimwe and Esule arrived at the event at around 11 am and joined a group of other church partners for the party. An hour later, Ishimwe had disappeared. “At about 12:15 pm an usher by the name of Pearl urgently summoned me. She told me that she had got a call from Moses and he sounded as if “ali mu kizibu” (he was in trouble),” she narrated. Immediately, she said, her spirit became restless. She tried to call Ishimwe but the number was switched off. The following day, Esule says, she went back to Bugolobi and checked with Bungalow 3 police post, Bugolobi police station as well as Kitintale police station. Ishimwe’s name was nowhere in the records of those detained there. Throughout this, Esule kept updating friends of Ishimwe in Mbuya about the search. “He only realised that it was serious when the area LC1 came to his door asking if he knew Moses and said that Moses was detained by the LC1 Bungalow 3 and they needed proof of his identity,” Esule said. At the time he was held, Ishimwe had given both his identification documents to his friend, Esule. On December 27, Esule received a call from CMI asking her to present some of Ishimwe’s IDs. About 6 pm on December 27, Esule was at CMI block C office of the Deputy Director. He was not there but had assigned another officer to receive the documents. His Rwandan national ID was retained. Esule requested to meet Ishimwe but the operative said that it was not within his jurisdiction to grant such a request. “I was told that Moses was at Kireka where they retain all suspects. So I asked what his crime was, and he did not disclose anything,” she said. Esule has since reported the incident to the Rwandan Embassy in Kampala and she is now in touch with Ishimwe’s family in Kigali. The Rwandan Embassy confirmed the incident to The New Times and has informed Rwanda National Police about Ishimwe’s case. Without divulging details, Rwandan police Spokesperson Jean Bosco Kabera said that they are following up on the matter through diplomatic channels.